After months of extensive international touring, that group we all know for one reason- that hairy Aussie known as Ladybeard– has dropped their signature gimmick, and formed a new variation of the group- “The Idol Formerly Known as Ladybaby“. After going on a short hiatus after their one-man live at Shinjuku BLAZE on April 15, 2016, the idol group have come back with their shocking announcement that yes, that beautiful, cuddly teddy bear Ladybeard will no longer be part of the group and they will be continuing as a 2 piece unit. Read more after the gap! At the current time, it is not known why Ladybeard left the trio, but as many speculate, is likely due to the intense schedule that comes with being an idol. They left an announcement video today, featuring just the two seemingly naked and a Ladybeard-less version of their hit “Nippon-Manju” playing in the background. 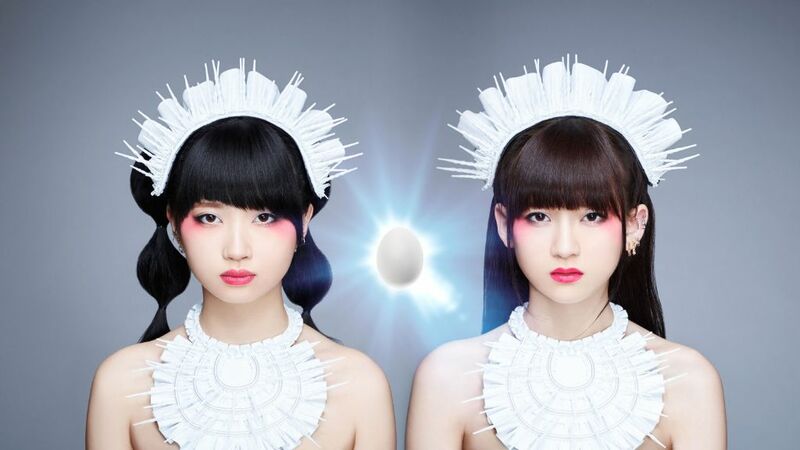 They also have announced a re-debut show (with Oyasumi Hologram) called “The Idol Formerly Known as Ladybaby ~Let’s go Crazy!~” at Ebisu LIQUIDROOM on September 17th. It will be interesting to see if the group manages to stay afloat the sea of idol without their main selling point attached- and certainly will be a shock announcement for all fans of the group.